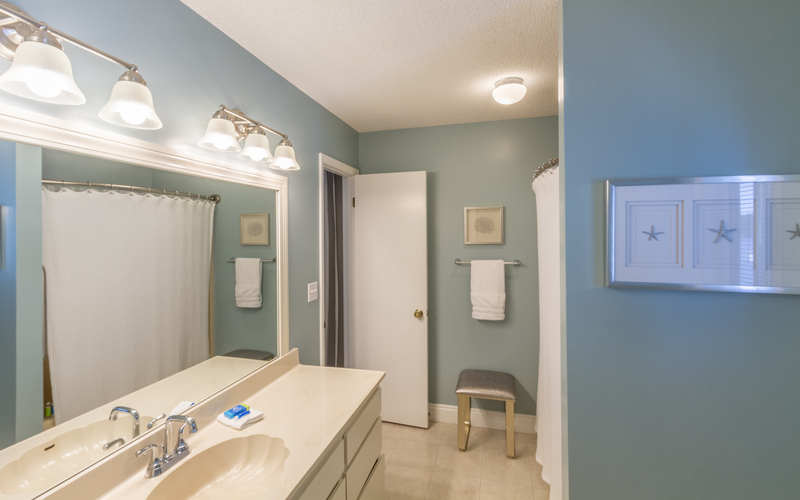 This property is professionally managed by Oversee Rentals. 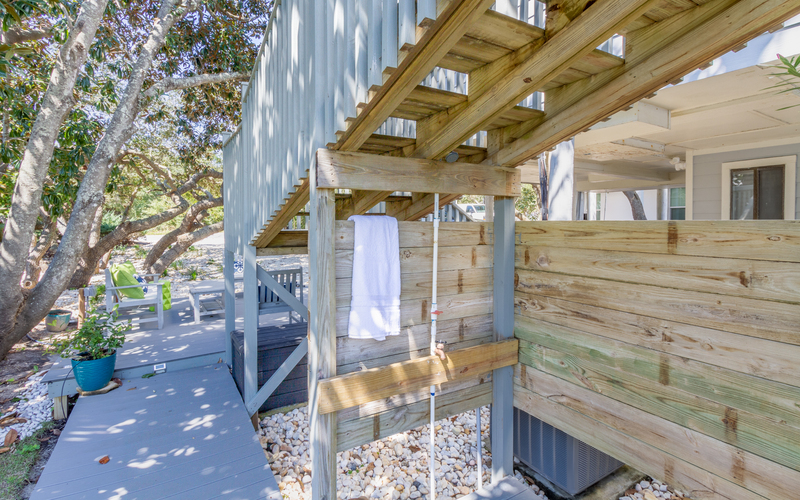 Welcome to A Hasty Retreat, a spacious and soothing cottage just 200 steps from the Gulf of Mexico. 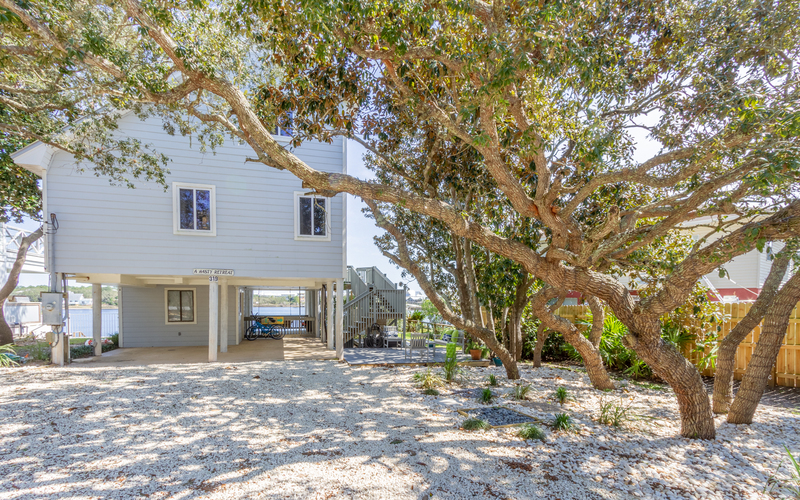 The House overlooks Eastern Lake and is nestled next to the oldest and largest stand of magnolia trees in the area. 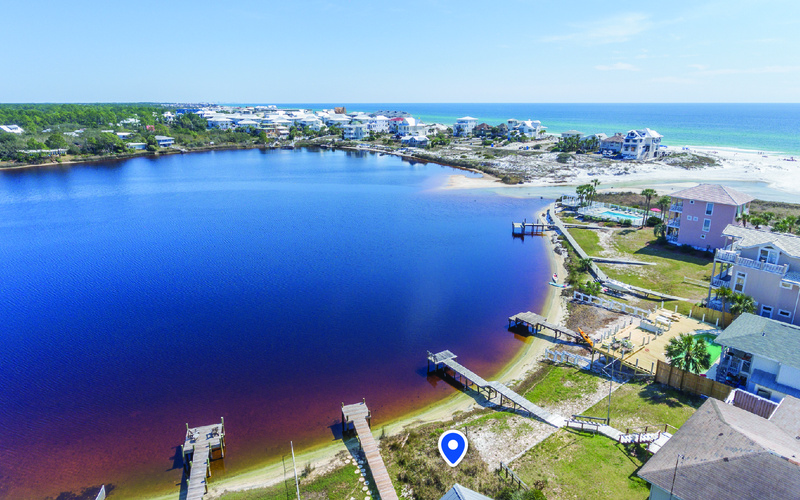 A rare, pristine dune lake, Eastern Lake is just steps from the sugar sand beaches and emerald waters of the Gulf of Mexico and is perfect for fishing, boating, skiing, and Yolo boarding. 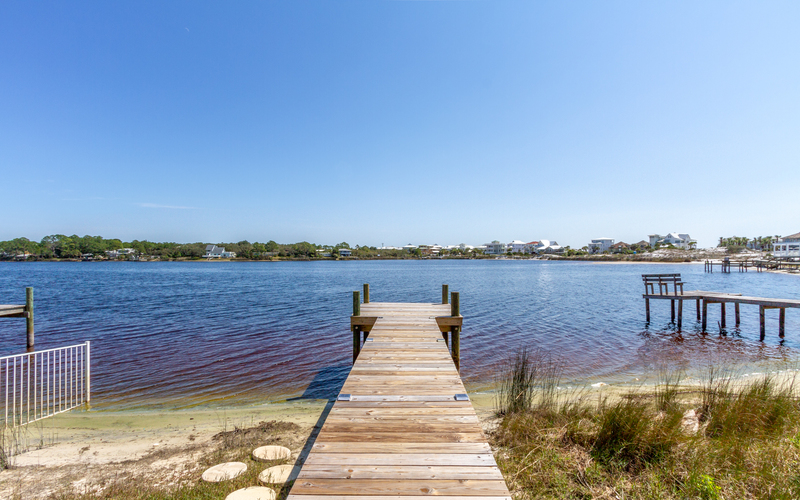 The cottage offers a breathtaking view of sunrise on the lake where the shallow waters and eastern pass have beckoned children of all ages for generations to swim and play. 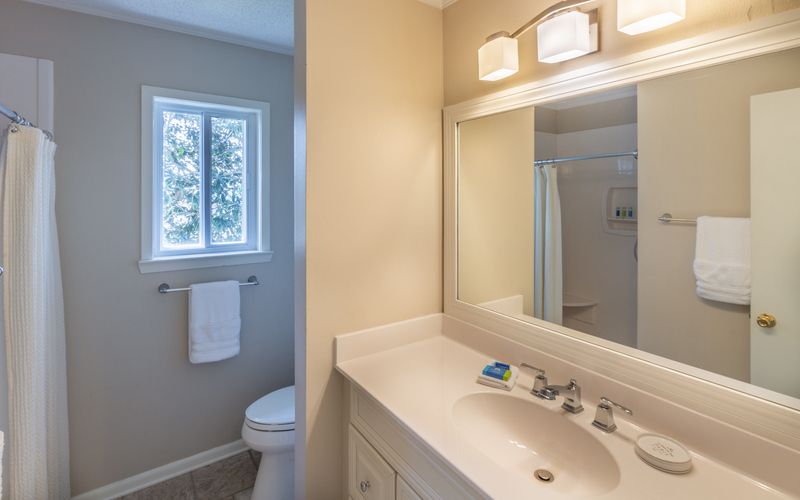 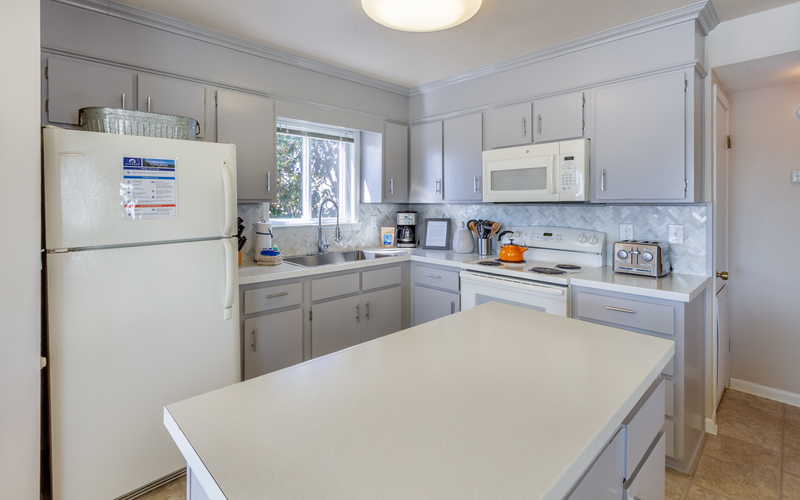 A Hasty Retreat, newly renovated, features an updated kitchen with open living and dining areas, 3 bedrooms, 2 bathrooms all with a current, lush whimsical vibe. 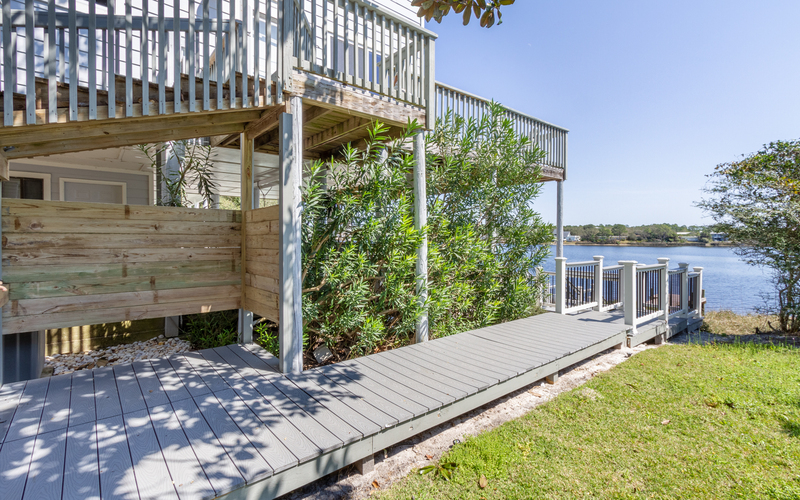 The Retreat boasts three decks – one with a Lake and Gulf view, perfect for sunbathing, al fresco dining and stunning vistas of moonlight on the Lake. 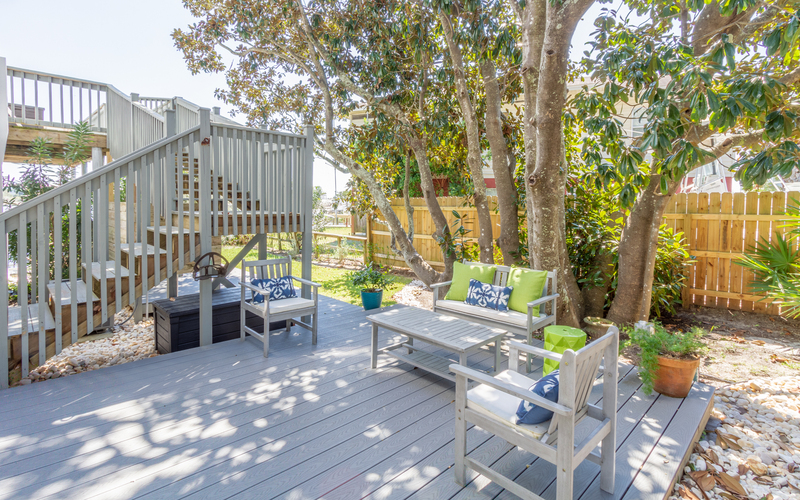 The lower patio deck offers a lake view with a picnic table and swing, excellent for a nap or relaxing with a good book and the third deck, is a great place to enjoy the shade of the beautiful magnolia trees after a day on the beach. 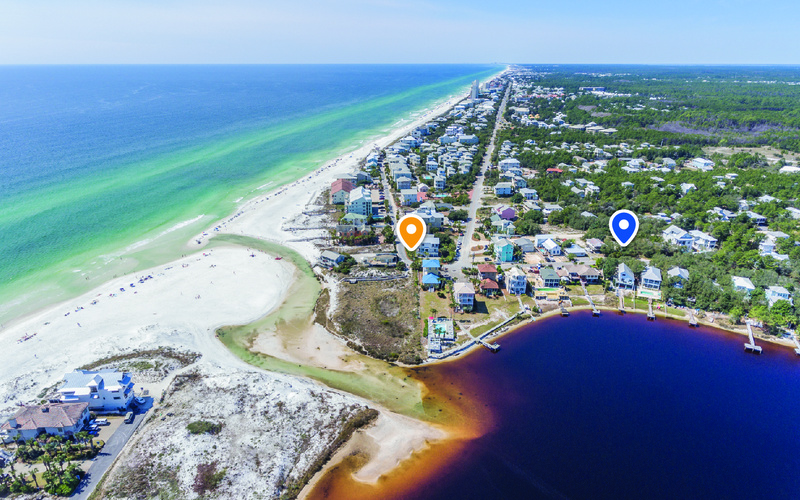 Come… feel the Gulf breezes and wish upon a star at A Hasty Retreat.